In the early 1800s, military service in Canada was mandatory for men between the ages of 16 and 60. 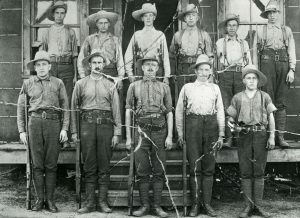 In the wake of the Militia Act 1855, which changed Canada’s sedentary army into an active volunteer militia force, Perth men formed the First Volunteer Rifle Company and the Second Volunteer Infantry Company in 1862. 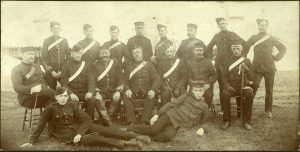 These battalions joined to become the 28th (Perth) Battalion of Infantry. In the 1830s, settlers of Southwestern Ontario were more occupied with clearing and establishing their land, as the area was not facing any immediate military threats. 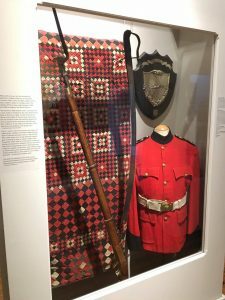 Resident British Soldiers were being recalled from Canada by the 1850s to fight in Eastern Europe and India, leaving local population to rely on their militia. At the same time, the pressure of southern hostilities (American Civil War and the threat of Fenian Brotherhood) began to create a sense of military duty among the soldiers of Perth County. With the incursion of the Fenian Raids and the Red River Rebellion, the Perth Militia was deployed. Throughout this period Canada’s military was undergoing growth and change. The 1793 Militia Act initiated the mandatory service of men in militia, whereas the 1855 Militia Act allowed for militia men to volunteer for service/duty rather than the previous compulsory service. The foundation for Canada’s military was established through these two Militia acts. It was during this vulnerable time that Perth found its military footing. When the Irish republican organization called the Fenian Brotherhood attempted to attack British interests in North America (Canada) in order to end British rule in Ireland, the 28th Battalion was stationed along the Canadian border to defend against attack. The first major political crisis of the newly formed Canadian government after its Confederation in 1867. When the Canadian government purchased Rupert’s Land from the Hudson’s Bay Company in 1869, the conflict between the English-speaking inhabitants and French-speaking Metis grew. Under the leadership of Louis Riel, the Red River Colony established a provisional government and barred any outside authority from interfering with the colony. Two soldiers from the 28th Battalion were sent to participate in the Red River Expedition. 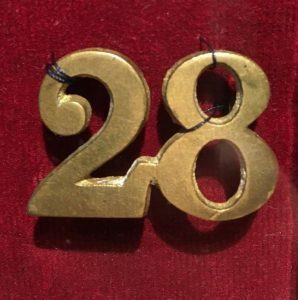 Pendant la deuxième moitié du 19e siècle, le service militaire était obligatoire pour les hommes entre l’âge de 16 et 60 ans. En 1856, les hommes du comté Perth avaient formé la Première Compagnie volontaire des fusils et la deuxième compagnie d’infanterie en 1862. Ces deux bataillons se sont unis pour devenir le 28e Bataillon d’infanterie (Perth). Quand l’organisation républicaine irlandaise nommée la confrérie Feniane avait tenté d’attaquer les intérêts britanniques en Amérique du Nord (le Canada) pour terminer la gouvernance britannique en Irlande, le 28e Bataillon était stationné au long de la frontière canadienne pour se défendre contre une attaque. The HURON TRACT is a large section of land in southwestern Ontario bordering Lake Huron that spans Huron, Perth, Middlesex and Lambton counties. The Tract was purchased by the Canada Company, an agent of the British government, to be distributed to colonial settlers of Upper Canada. The Canada Company, chartered in 1826, administered the sale of one million acres to early farming settlers of the area until it dissolved in 1953. FUN FACT: Highway 8 from Kitchener to Goderich runs through the Huron Tract! 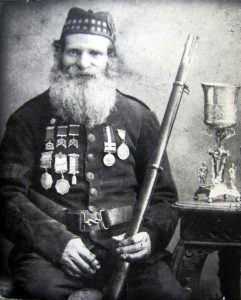 Corporal James Wilson of Stratford, known locally as “Shootin’ Jimmie,” was born in Scotland, 1822. In his many years of service, Wilson fought with the volunteer GrandTrunk Railway Rifles, the 49th Battalion, Hastings Rifles, and the 29th Waterloo Battalion at New Hamburg. Wilson bears medals for his service in the Fenian Raids of 1866 and 1870. He was an expert marksman who won many prizes with his Snider Enfield rifle. Wilson’s five sons served with the 28th Perth Battalion. He died on November 15, 1894. Benjamin Franklin Youngs was born and raised south of Stratford in Embro. At the mid-point of the American Civil War, he enlisted with the First Michigan Sharpshooters and then joined the Ninth Corps under the command of General Grant. Within the year from enlistment, he saw action at Wilderness, Pro Rivers, North Anna, Totopotomony Creek, Bathesda Church and Cold Harbour. On June 17, 1864, he joined the advancement on Petersburg, West Virginia. It was at the time, he captured the enemy flag which led to him being awarded the Medal of Honor, the highest military decoration awarded by the United States Government. Following the war, he returned to this area and started a family. Youngs and his children distinguished themselves as important Stratford builders and continued their legacy of military service. Benjamin’s oldest son, John rose to the rank of Commanding Officer of the Perth Regiment. 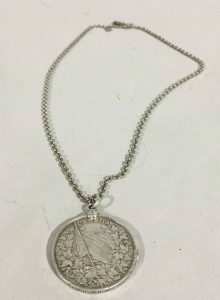 Lieutenant John Grant Anderson was awarded this medal for militia duties related to the Fenian Raids between 1866 and 1870. Born in 1840 in Nova Scotia, Anderson founded the tiny hamlet of Anderson in Perth County. The largest battle of the Raids took place in Southern Ontario during the summer of 1866. Fortunately for Anderson and his group, none of the raiders attacked the shores of Lake Huron where they were stationed. Lieutenant Anderson passed away in 1928.